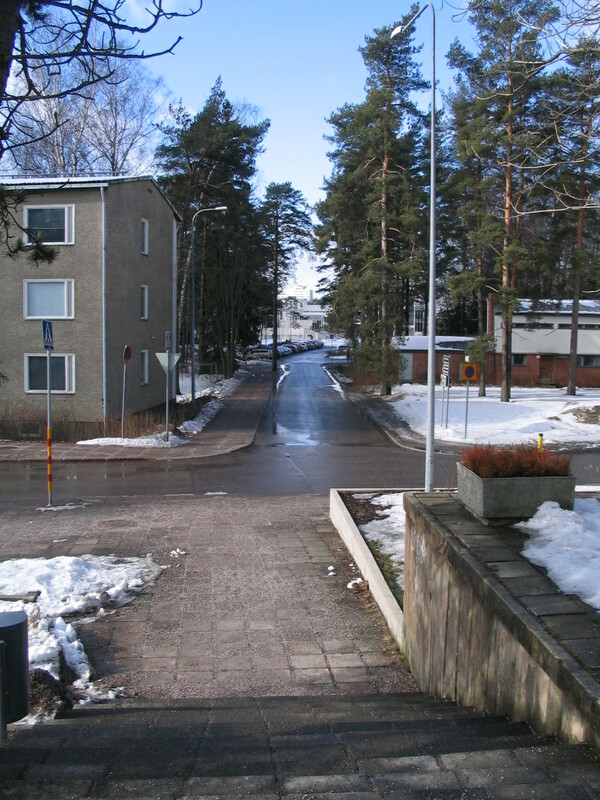 We took a tour of Tapiola, a garden suburb in Espoo right near TKK, built mostly in the 50s and 60s. 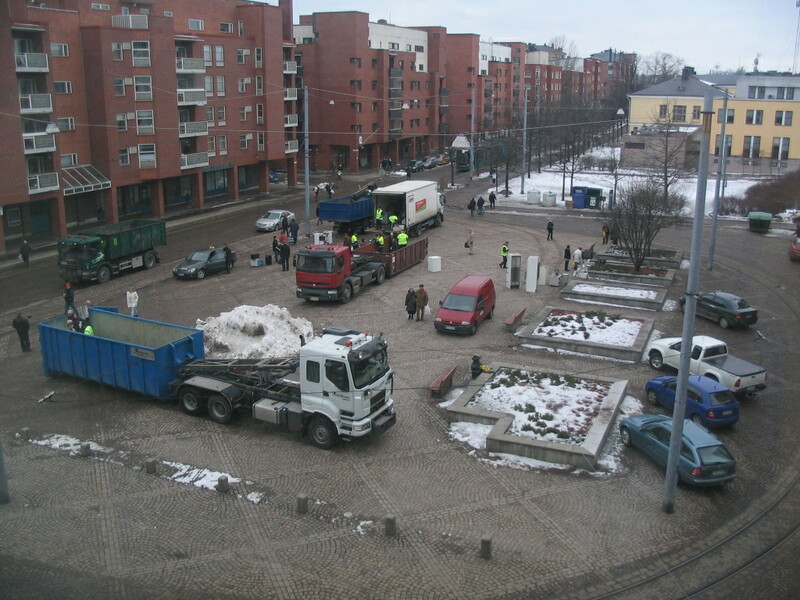 First, though, in Merisotilaantori the day before, old appliances were being collected. 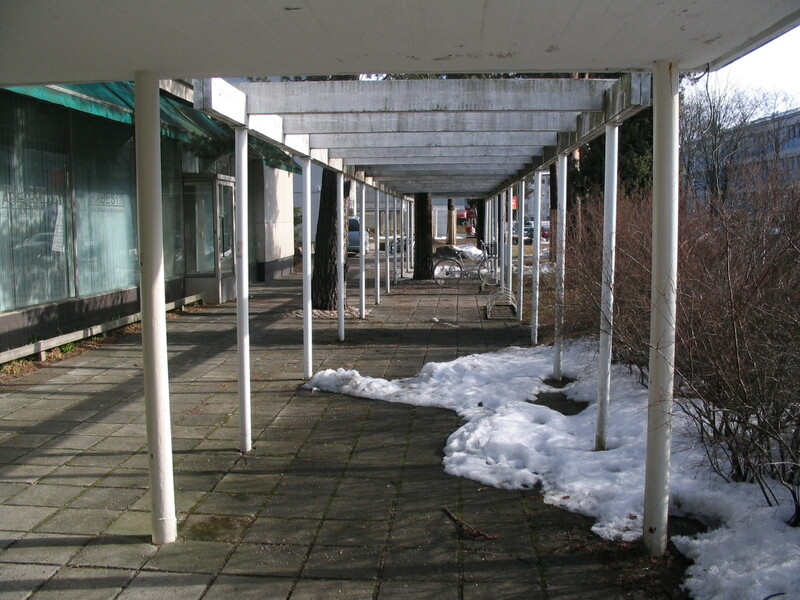 An arcade in Tapiola. 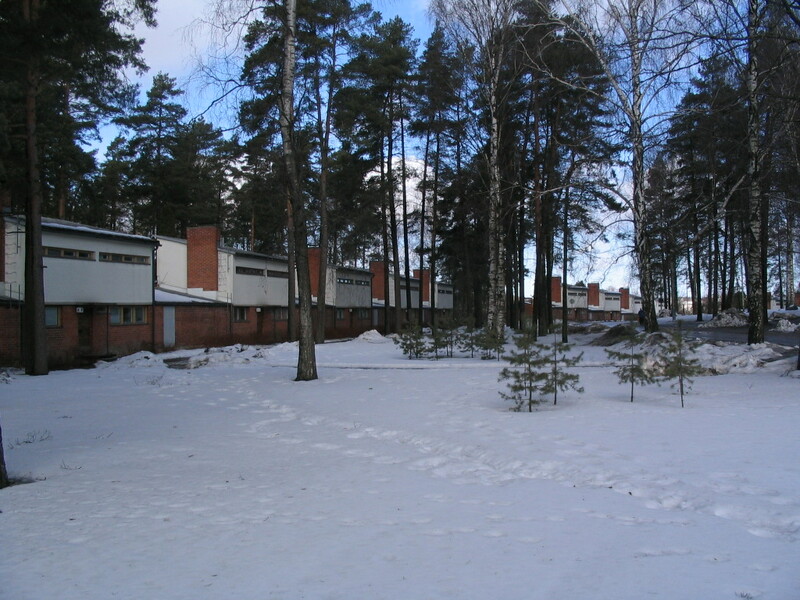 Spring was certainly arriving; the weather was balmy and the snow was melting. A glimpse of the town center down the street. 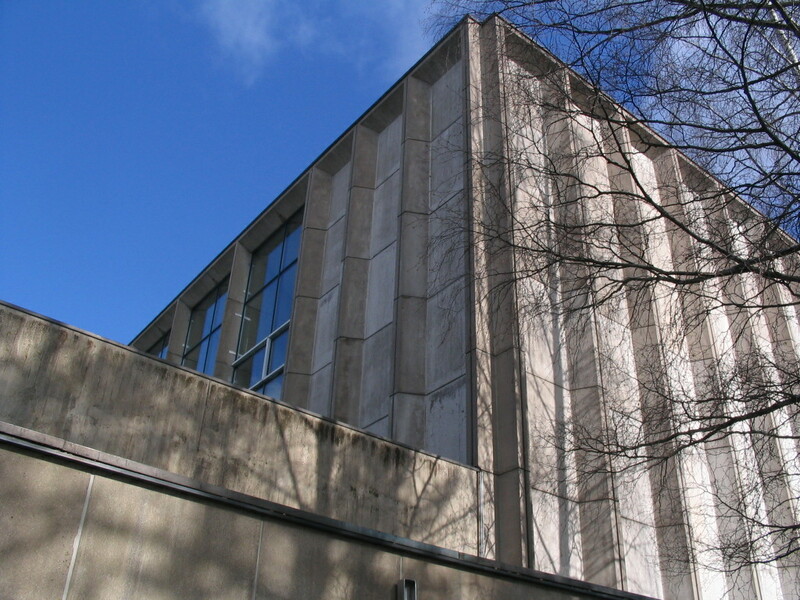 Espoon Kulttuurikeskus (Espoo Cultural Center). 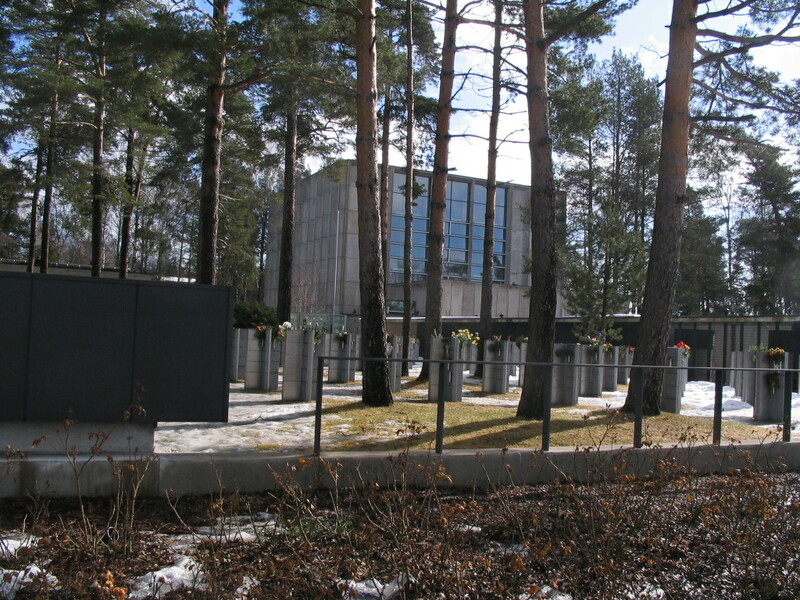 The main buildings of Tapiola are all arrayed around the various sides of the pool in the foreground. 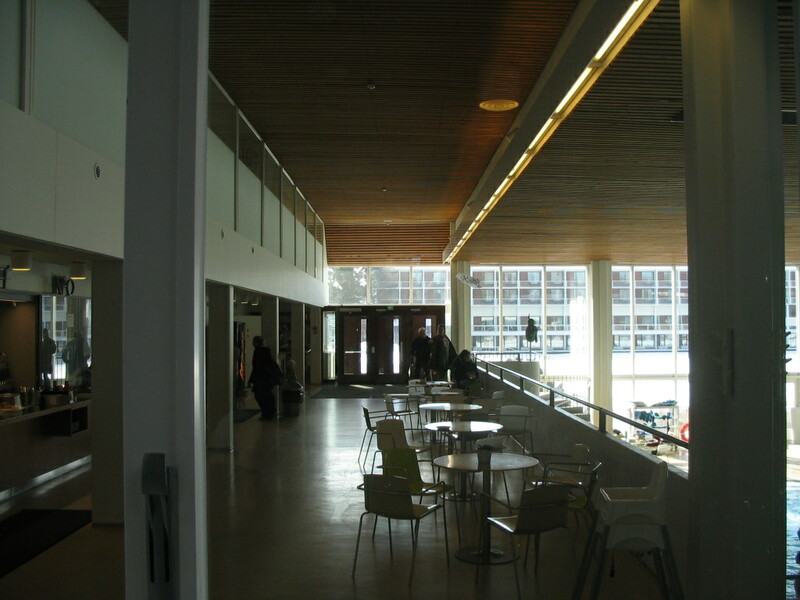 A mezzanine in the swimming hall. 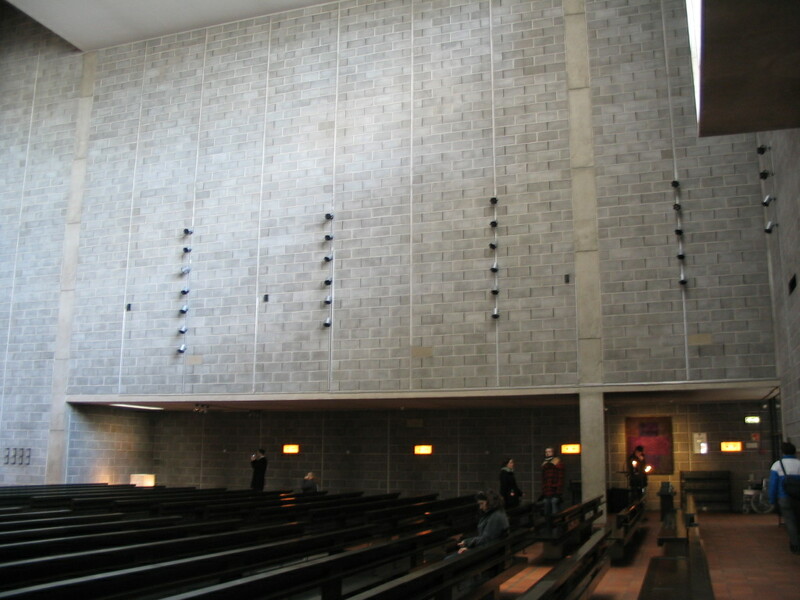 The Tapiola church, designed in the mid-60s by Aarno Ruusuvuori. 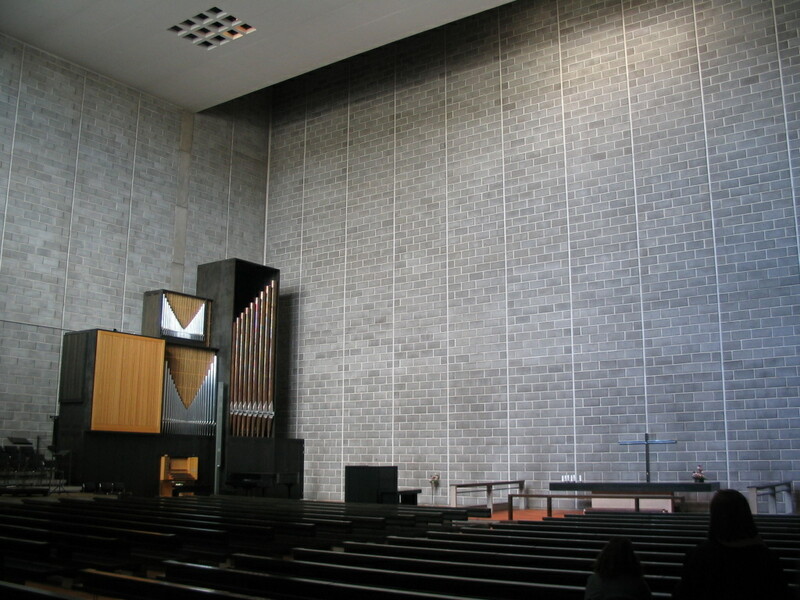 Here's the interior. 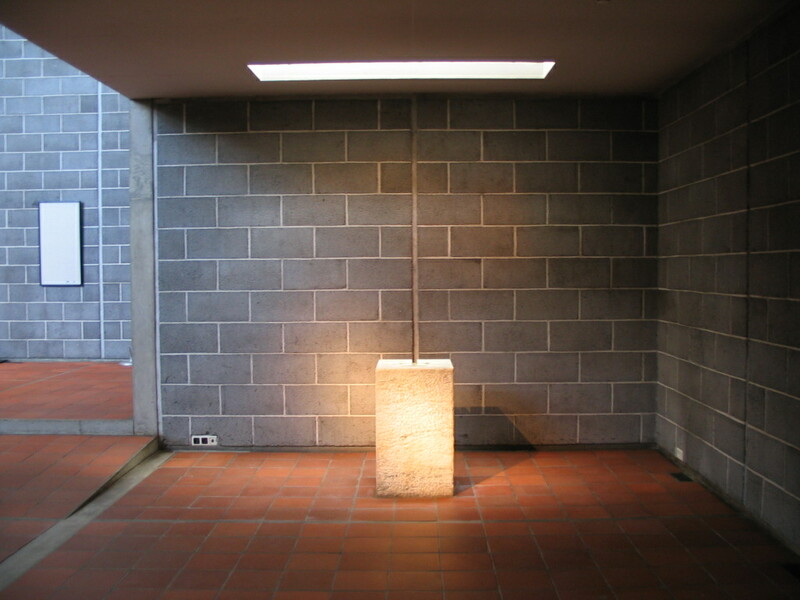 It's severe, but it certainly makes for a contemplative space, so I think it works well. 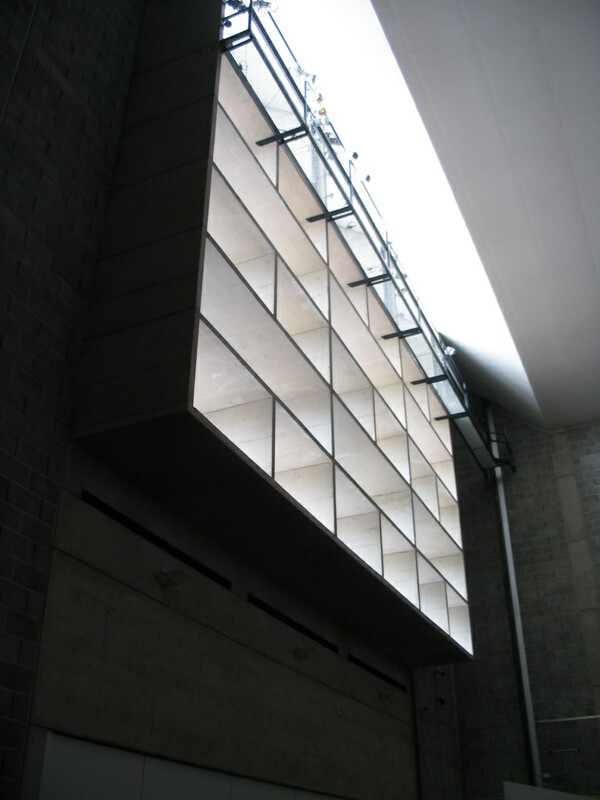 This big brise-soleil is the main source of light. 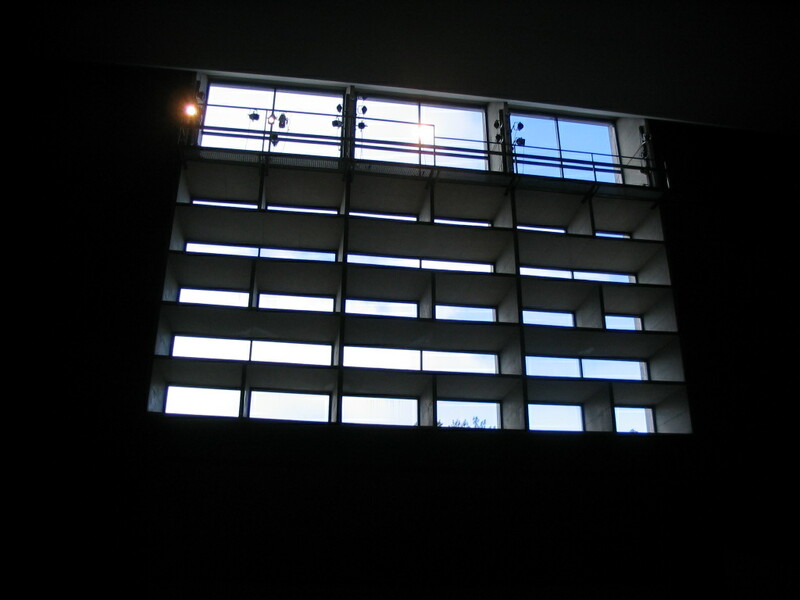 The brise-soleil from near the front. 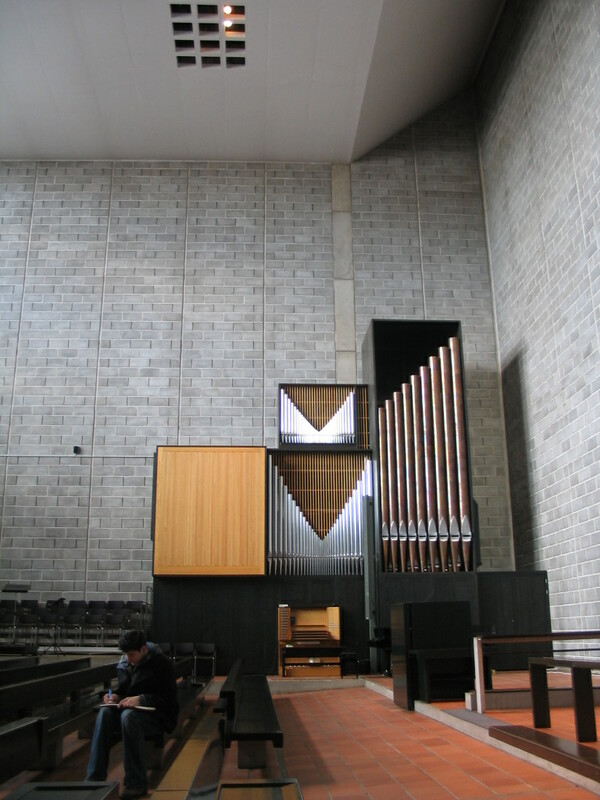 The configuration of the pipes in the central box of the organ makes it look almost like they're receding far into the distance. The font, right at the end of the entrance axis. 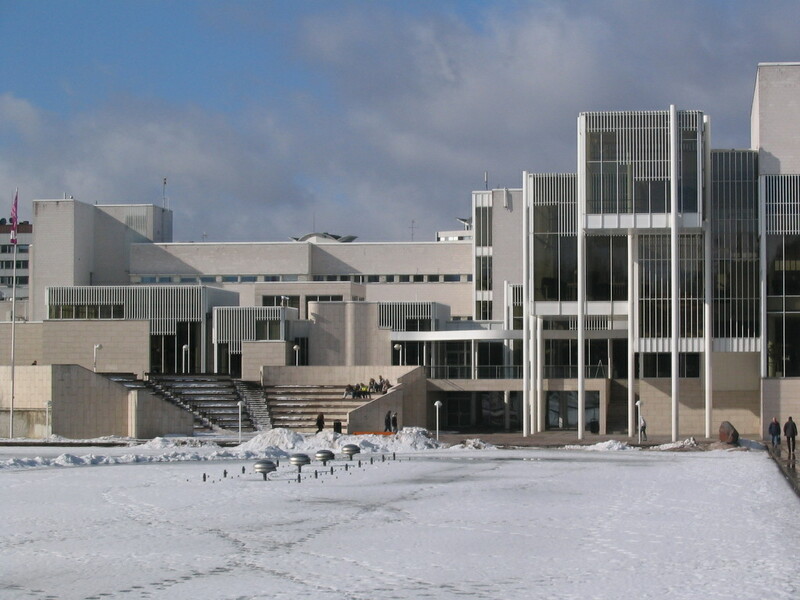 Another exterior view, the brise-soleil being inside the windows to the left.